Votes held on reducing roster size, adding 100 point milestone bonuses and adding per carry point scoring. Scoring Settings Change: NFL added ability for Defense to return extra point attempt for 2 points & Yahoo! by default matched that value. Week 11 Revenge of RoadKill (Adam) and Headcrusher (Martin) played to a 120.25 to 120.25 Tie.  The first Tie in recorded NH history (NH2-NH16). Emergency vote held following Week 16 to clarify Week 16/17 rules due to protest of Commissioner’s interpretation of Week 17 eligibility and final ranking methods. Scenario: Current Week 16 4th place team has technical possibility of winning championship. Current 3rd place team holds Tie-Breaker over 4th place team, but has no technical chance of winning championship, thus current 3rd place team is given Final Ranking of 4th place and current 4th place team moves on to Week 17 Showdown and can finish no lower than 3rd overall.